"The science is saying that hotter sand, linked to climate change, is to blame and this is causing concern for the future of that population," she said. "In the Far North, nest temperatures above 29.1 degrees Celsius generate mostly females, while sand temperatures above 34 degrees Celsius are fatal." 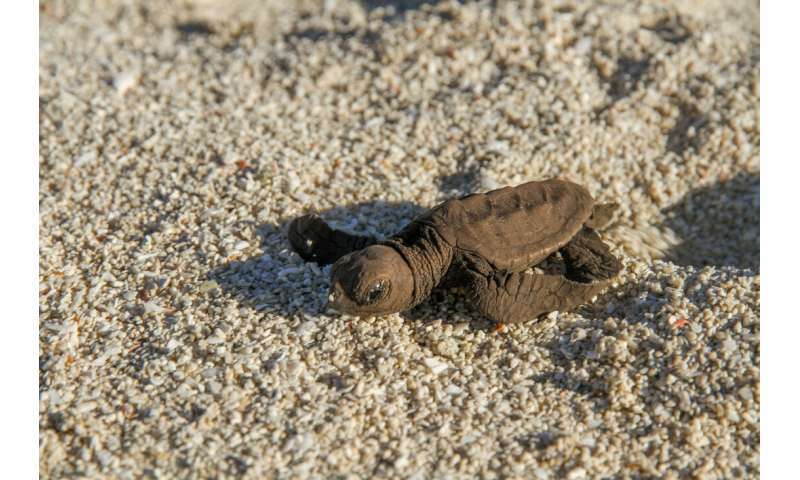 "On Raine Island, 120 kilometres south, the large numbers of green turtles coming ashore each night would knock over any shade structures," Ms Staines said. 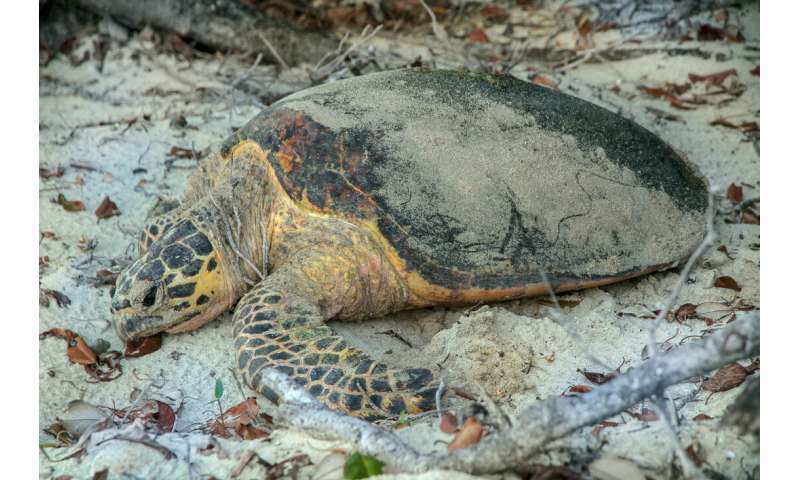 "There are an estimated 200,000 female green turtles in the northern Great Barrier Reef stock, and up to 90 per cent of those females nest on Raine Island or surrounding cays. "If our project is successful, cooling techniques could be trialled on Raine Island – the largest green turtle rookery in the world." 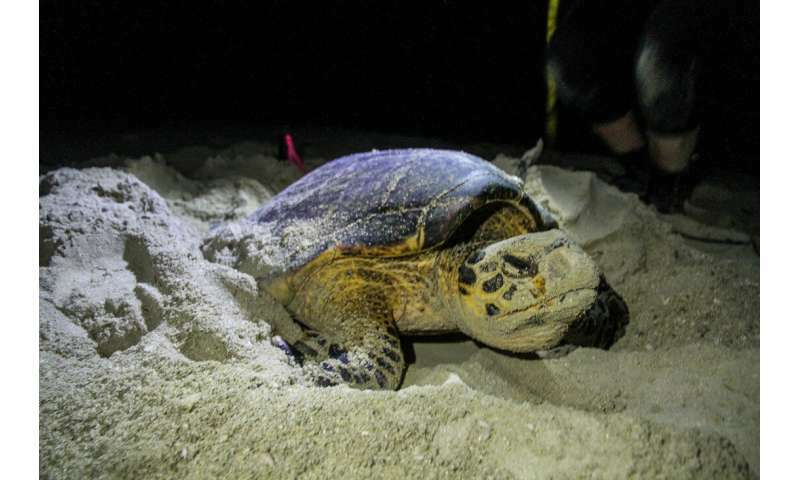 "Every single sea turtle I meet is completely different to the last, and that's what keeps you going, knowing that these species—they need you," Ms Staines said. "That's why I'm here specifically looking into a management strategy that could potentially be used to save future generations of sea turtles all around the world."